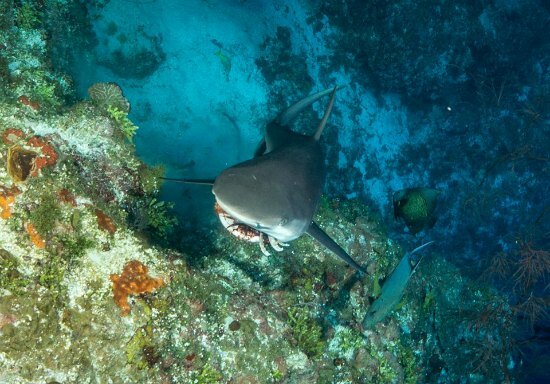 Simon Morley a local diver and photographer in Grand Cayman went on a dive this week on the East End of Grand Cayman with Tortuga Divers to the deep wall site “Split Rock”. 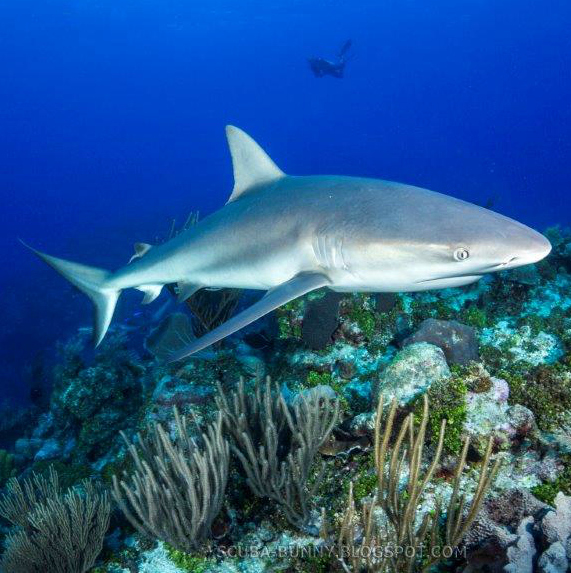 This is a beautiful site where a number of Grey Caribbean reef sharks are regularly spotted. Simon took this photo just seconds after a lionfish swam by and was snatched up by one of the sharks. 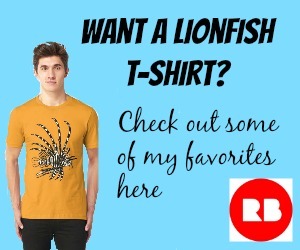 “From what I saw of the lionfish, it wasn’t injured or in distress or anything like that. It appeared to be perfectly healthy, so from the looks of it the sharks were in and actively hunting and pursuing the lionfish,” said Mr. Morley. I was in the water guiding other divers at the time, and didn’t see this historic moment personally. 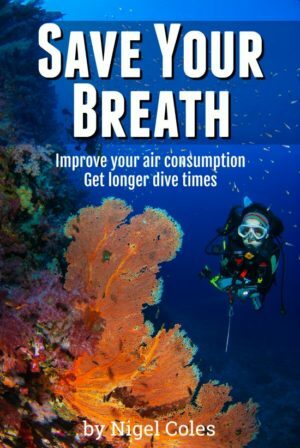 It’s certainly exciting news to think that sharks have now recognised the lion fish as a meal and may begin hunting them and helping us to keep their numbers under control. Here is a link to the Cayman 27 news network showing Simon’s 43 seconds of fame. Thank you Simon for the use of the photo and story, and for documenting this fantastic discovery. 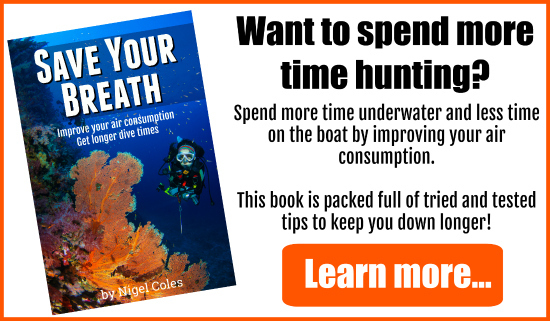 You can read Simon’s own account of the incident over at his great site, Scuba Bunny HERE.